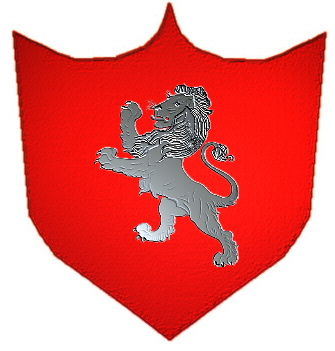 Coat of Arms: Red with a silver lion rampant. First found in Ayrshire where they held a family seat from ancient times. Some of the first settlers of this name or some of its variants were: Eleanor, Elizabeth, George, Jane, William, and Mary Wallace all settled in Charles Town S.C. in 1768; Alexander Wallace settled in Georgia in 1733; Andrew, Boyd, Daniel, Edward, Francis, George, Hugh, James, John, Michael, Patrick, Robert, Samuel, Thomas, and William Wallace all settled in Philadelphia, P.A. between 1820 and 1870. "The term 'Welsh' appeared in the earlier English form of Weallise and the mediaeval form Wallensis, and was applied to the British peoples from Strathclyde in Scotland to Brittany in France who spoke that branch of the Celtic family of languages now represented by Breton and Welsh. In the 12th century the Kings of Scots were still addressing their subjects as distinct ethnic groups: French and English, Scots and Welsh. Hence the surnames Inglis, Scott and Wallace. The ancient captial of Strathclyde is still remembered as Dumbarton, the Fortress of the Britons. In the second half of the 12th century a man called Richard, defined as a Wallace, obtained lands in Ayrshire, which belongs to the former Kingdom of Strathclyde. His property was called Richardston, now Riccarton; and his great-grandson, Sir Malcolm Wallace, received the lands of Elderslie in Renfrewshire. Such was the background of Malcolm's son William, who was to evoke a national spirit which united so many disparate peoples and to earn his place as Scotland's greatest patriot. The Old English word "waelisc" and the Anglo-Norman word "waleis" meant foreign. It was applied to Cymru, in the west of Britain by the Britons, hence "Wales". In Scotland it may have been applied to Britons who came north but it may also have come to Scotland with King David I - a knight, Sir Richard Walency signed a charter around 1170 and he came from Shropshire (which borders Wales). The name arises in Ayrshire and Renfrewshire in the 12th century. Adam de Waleys paid allegiance to King Edward I of England in the "Ragman Roll" of 1296. But Malcolm of Elderslie bravely refused. He and his eldest son paid the price and were executed by Sir John Fenwick. His younger son, William Wallace was taken to Dundee for safety but was soon to lead an uprising against the English. During the guerilla war which followed, the high point was the defeat of King Edward I at the Battle of Stirling Bridge in 1297, after which Wallace become joint Guardian of Scotland. However, the Scots were defeated ten months later at the Battle of Falkirk. Wallace attempted to keep continue the war but was betrayed and hung in 1305. A Wallace Monument in honour of the national hero was completed in 1869, overlooking the site of the Battle of Stirling Bridge. The Elderslie lands were held by Wallaces until the middle of the 15th century and other branches settled in Craigie near Dundee and in Fife. In 1669 Hugh Wallace of Craigie was created a Baronet of Nova Scotia. For several generations the clan chief lived in Jamaica in the West Indies. Wallace was the 49th most frequent surname at the General Register Office in 1995. 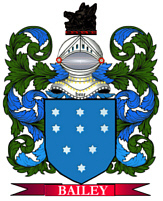 Wallis is a sept (sub-branch) of the clan Wallace.